Home / Miscellaneous / When Is a Wine Considered ‘Manipulated’?!? When Is a Wine Considered ‘Manipulated’?!? What in the heck am I talking about? Can it be that wine is not simply an all-natural alcoholic beverage that is the result of no human intervention whatsoever?!?!?!? Many wineries obviously want you to think that this is the case! When reading ads or perusing websites of many wineries, their message is that their wines are all handmade; that they are minimalists when it comes to the production of their wines; and your experience will be better because of the aforementioned reasons. So at what point would a winery /winemaker be considered ‘intervening’ in the winemaking process?!?!? There are some that believe that if you add water to your vines (versus ‘dry farming’ – depending only upon rainwater for irrigation), you are ‘manipulating’ the grapes and therefore creating a ‘spoofilated’ wine . . . There are some that believe that if you use commercial yeast to inoculate your grapes, you are ‘manipulating’ your wine versus allowing ‘natural’ yeasts to control the process. And the list goes on and on – do you add any acid to your crushed grapes should the wine need some? Do you use dry ice to cool down your crushed red grapes and allow for a ‘cold soak’ prior to fermentation beginning? Do you use glycol jackets on your tanks to control fermentation temperatures? Once the fermentation is complete, do you use new oak on your wines? Heavy toasty oak that will impart its own flavors or ‘neutral’ oak that will not? Do you use ‘200% new oak’ – use new oak for the first six months to a year, and then transfer into brand new barrels again at that point? There are, of course, much newer ‘technologies’ that have perhaps changed perceptions about manipulation. How about a ‘spinning cone’ to reduce the alcohol levels of a wine? 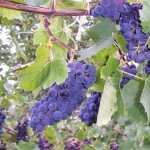 Or adding ‘mega purple’, made from grape concentrate, to increase the color of your lighter reds? a)Is it the final product that matters, regardless of how it gets there? b)Should wineries be required to tell you everything they do with the wine to get it to its final point? I’ll be curious to hear your thoughts . . . I think it is the final product that matters, and that if you know what to look for you will be able to tell if a wine has been significantly played with. In my experiences at a winery, tasting before and after any kind of doctoring of wine always revealed some change in taste characteristics. Super Purple, while it may be hard to define, definitely has a taste and if you talk to people who have worked with it a lot they can almost always tell when a wine has it in it. The same holds true for other procedures I encountered as well. One winemaker I knew used to play a game trying to figure out what had been done to the wines from other wineries in the region. Sense he knew most of the other winemakers he was able to check his guesses with them, and he was able to guess a good portion of the time, and without fail if he said there was something done to the wine, even if he didn’t get the specific treatment rite, the wine had been doctored in some way. This is granted a somewhat skewed opinion, as not everyone will be able to do like a winemaker and taste before and after treatments etc. However, I think it does point out that, everything you do to a wine gets reflected in the final product. This includes what you put on the vineyards, what is in the air in your vineyards (go try wine from a winery where the vines are next to a road that was being paved during the summer and fall), what you do pre/during/post fermentation, how the wine is aged, all of this has effects on the over all quality and flavor profile of the wine. What matters is finding wines that you enjoy drinking, maybe that is bio-dynamic wines that have very minimal treatments done to them, or maybe you love the taste of super purpled, sugared up, tannin infused (yes this really happens), lab production wines, or perhaps, like most consumers, you fall somewhere in between. What matters is enjoying what you drink. My point was that it doesn’t matter if you can tell if it was manipulated… but the more it is, the worse the final product, which is all that matters. Maybe one day I’ll try a “fake” wine that tastes better than it’s more natural counterpart, but that hasn’t happened yet! A) Yes, it is the final product that matters but, hopefully not at the cost of the “anything it takes” method. The juice will indeed be judged by the consumer and the market on its merits (taste & cost) first then, how it is made. How much you choose to shape the wine along the way and how is the difference. B)No. Depending on the goal and your taste, winemaking can be an “industry” or an “art” and some methods should be left to the winemaker alone. That said, and in line with the French that began the practice, laws ensuring quality and production methods should be used for those wishing to bottle under a given regional or varietal name. But hey, remember in the end – it’s fermented grape juice! Good synopsis – but I’m not sure I agree with your conclusion. I have had some pretty darned manipulated wines – micro ox, oak chips, spinning cones, color additives – and one truly would never know on the surface unless the winemaker/winery let you in on their little ‘secrets’ . . .
Can winemakers taste a wine and know if it’s been ‘spoofilated’? In some cases, yes – a late acid add will oftentimes stand out; a wine that is ‘so concentrated’ that it is more so than most others; a pinot noir from the Central Valley that is as dark as a cab (but this could just be due to the wonderful rule that allows you to add up to 25% of ANY variety to whatever one your put on your label). . . Thanks for the kind comments – much appreciated. Scent additives, eh?!?!?!? Well . . . . these truly are not allowed and completely illegal, right?!?!?! Okay, but you CAN purchase ‘liquid oak alternatives’ that can provide a ‘mocha’ effect to the wine, including increasing the aromatics along those lines . . .
As far as vanillin goes, just use 200% new American oak – that will get you what you want! Liquid smoke? See above . . . or there are specific barrel coopers whose barrels are known more for their ‘smoky’ quality than others . . .
Good questions – and one hopefully others even more knowledgable than me will jump in on and discuss! Great comments . . .
My main comment is that you assume things at the beginning of your post that I’m not sure you should . . . I think wineries have become quite adept at ‘implying’ things take place whether or not they do . . .
And a winery can say ‘natural yeasts’ or ‘native yeasts’ and still innoculate with commercial yeasts – short of ‘false advertising’ I’m not sure what rules or laws they are breaking . . .
We’ll see how forthright wineries are in the future – especially if and when the FDA gets involved! Very true . . . and if I had more of a following right now, perhaps I could ‘poll’ folks . . . The problem with that would be that the cross section of folks that actually happen to find my happy little spot is not necessarily a microcosm for the true wine drinking world out there . . .
Love the James Ontivaros quote – classic! To me, you hit the nail on the head . . . wineries SHOULD be more forthcoming, but there is no incentive to do so . . . In fact, there is more ‘disincentive’ due to ‘image’ and ‘brand building’ at this point . .. Why be forthright if we don’t need to be, eh?!?!? And this leads into the other question – does the end justify the means?!?!? Does the consumer really care as long as the final product is enjoyable?!?!? Thanks for the comments – very much appreciated! I concur with your thoughts . . . but what if a winery’s ‘proprietary method’ involves some very manipulative ‘tricks of the trade’ – is that cool?!?!? Thanks for the comment – very much appreciated! I agree with you 100% . . . but if there is a ‘proprietary method’ that involves some pretty ‘maniuplative’ tricks of the trade, does that change your opinion?!?!? There’s really no bright line. Just think about the torture an amarone goes through! I think the closest you could get is to consider any non-traditional practices as manipulation. But one could always question which practices are traditional. I think in general it’s the end product that matters. Frankly, the less drastic manipulation, the better the wine, in general, I find. Congratulations on another thought-provoking post. We are curious about processing techniques and we strive to add them to the wine reviews on our blog when available. However, I myself have been wondering about scent additives. In the not too distant past, I was still willing to take a gamble on super cheap wines i.e. below $5 at Trader Joe’s. (The only label that ever passed muster was La Boca if anyone is curious.) They’re not marketed as jug wines, or even boxed, implying a certain attempt at quality. However, some of the consistency of smell over time is unnerving to me. I’ve noticed this before – as I can tell you when a glass of Yellowtail is poured across a room. I know about color additives, but I want to know more about scents. Not to say that I wouldn’t like to know all there is to know about color additives. (I wonder if it imparts a taste, and do people unwittingly get a taste for Mega Purple wines?) But seriously, if there are scent manufacturers selling to the wine industry, I want the gossip. Spill it. What are the popular ones? Vanillin? Liquid smoke? I think that pretty much anything that happens in the vineyard is fair game. If the vines are dry farmed or organic then the label may say so; if they aren’t we’ll assume not. I’d like to see an official trade definition of ‘old vines’ though. Bottom line: It is the final product that matters, but before I pay money for it I want to know what I’m buying – a manipulated bulk beverage with a pretty label or a wine that’s made by people who care about what they are doing. It would be good to get a consensus on the answers as that would help put things in perspective and in categories. I suspect, though, that many would not like to see these lines drawn – even if they are drawn lightly and in pencil. It’s probably not possible to only use native yeasts, never irrigate, never add acid or sugar. Even France, which prohibits irrigation in many areas does allow some added sugar at times. Some people will seek out wines that get close to that “ideal” but a complete dependence on nature may not be a smart strategy. 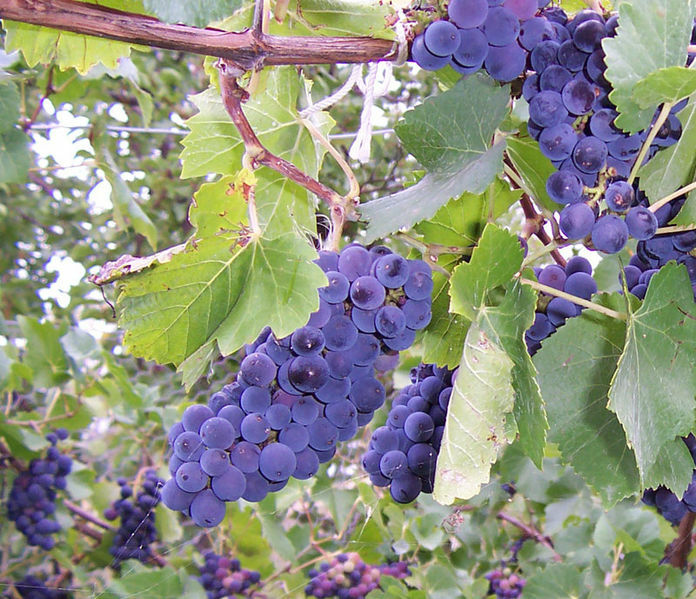 Even the point at which grapes are picked is a “manipulated” decision. There is no one moment that the grapes are perfect for every winemaker. That said, it would be nice if wineries were a bit more forthcoming about their practices, techniques and additives so people can make educated decisions about the products they buy. a) Is it the final product that matters, regardless of how it gets there? b) Should wineries be required to tell you everything they do with the wine to get it to its final point?